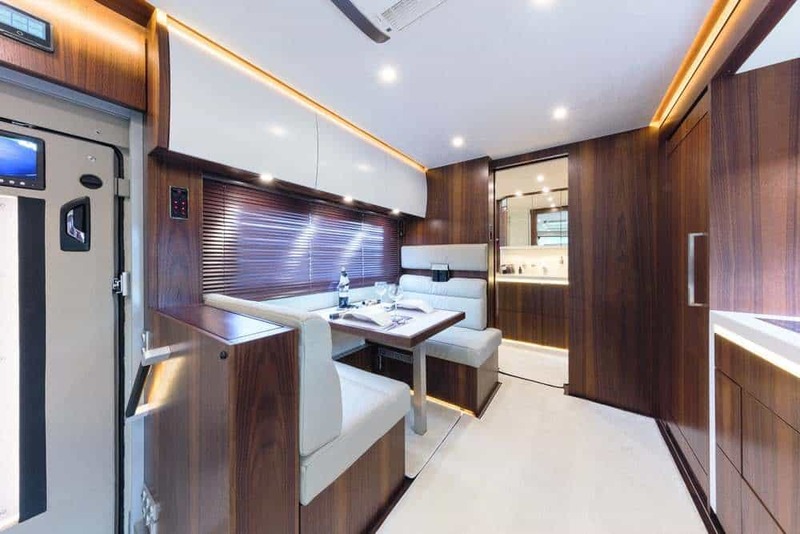 Variomobil Signature 1200 is the largest and most expensive motorhome on the market right now. VARIOmobil, the German company behind this incredible project, made sure that the 523-hp six-cylinder turbo diesel Mercedes engine will take you anywhere you might want to go in comfort, style and safety. 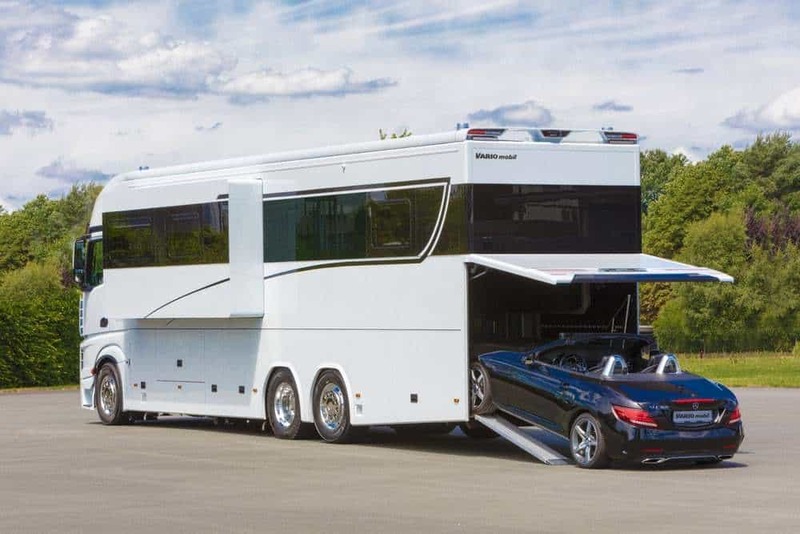 This outrageous motorhome drives to camp and then it allows its lucky owner to take his (or her) Porsche, Mercedes or BMW to enjoy a trip around the area. 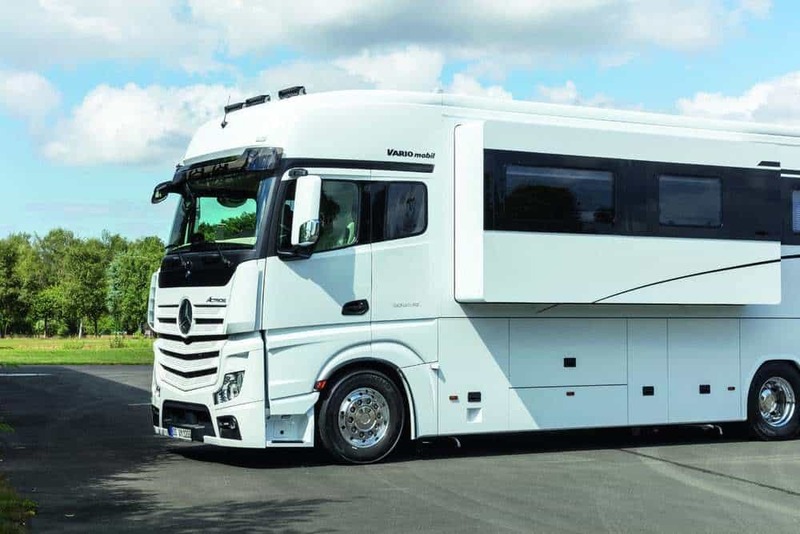 But the extraordinary 39-ft (12m), three-axle, 6×2 Mercedes Actros-based motorhome is so amazing that they’ve decided to ask $1 million for it. 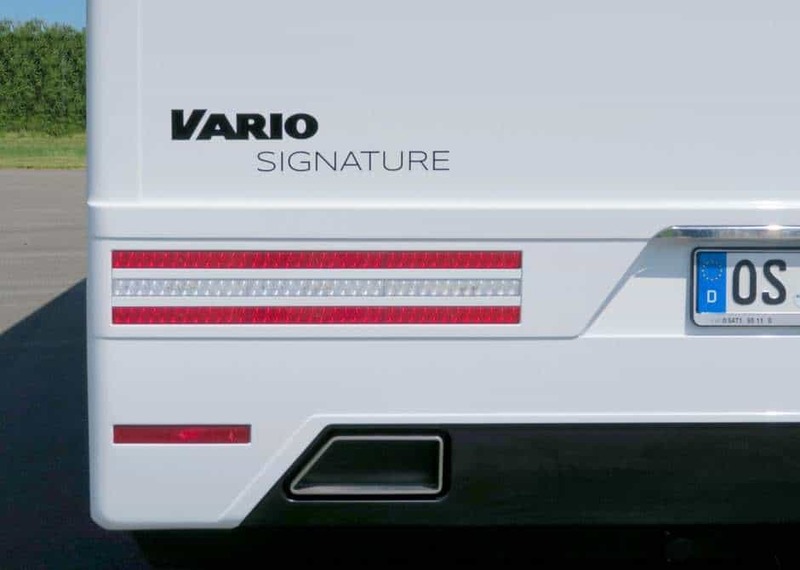 The most impressive part of the new 1200 is in the back, where you can pop open the tailgate and you can slide in or out your favorite sports car, thanks a hydraulic ramp – a unique feature that will surely add some thrills to your trip. 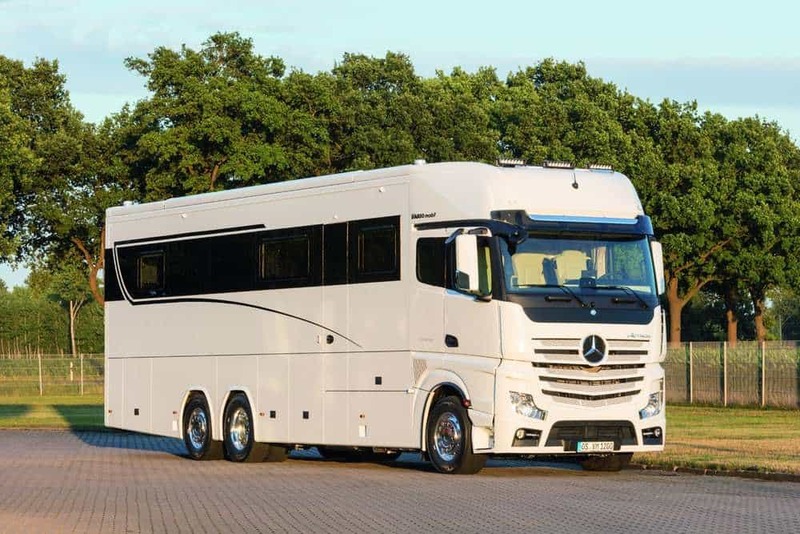 But the steerable trailing axle for improved maneuverability, the air suspension, and driver-assistance technologies are also worth a mention. 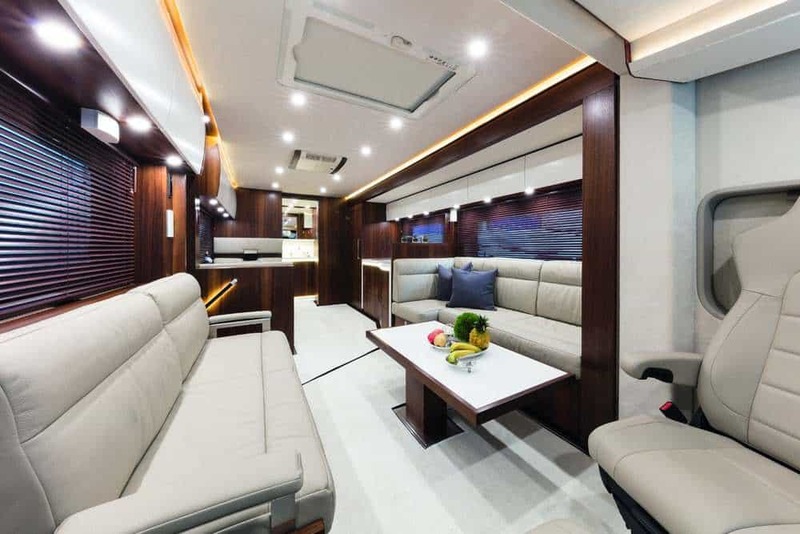 On the inside, the Signature 1200’s insulated fiberglass cabin is packed with numerous luxurious features and equipment, but customers are also more than welcomed to personalize their dream motorhome. 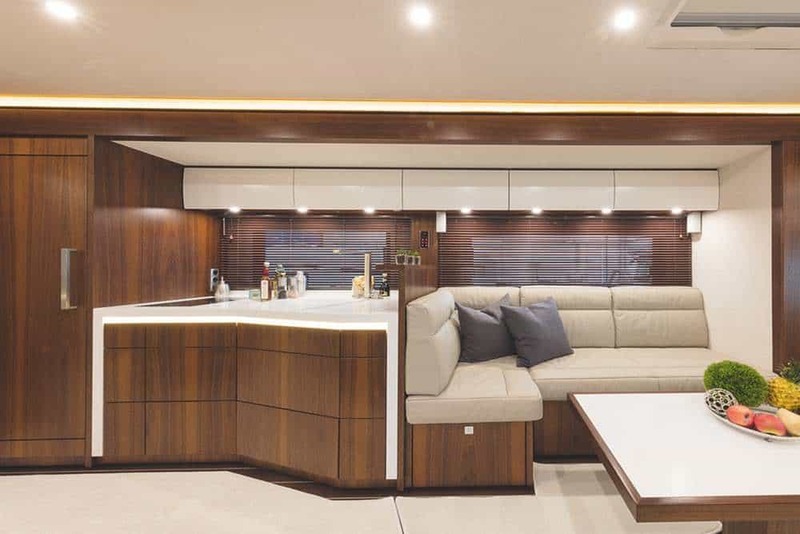 Available furnishings and equipment include a touchscreen-controlled induction cooktop, 190-L refrigerator, dishwasher, a full bathroom with mineral stone sink, not to mention LED TV with satellite, Bose audio system, washer/dryer, leather upholstery, real wood veneers, and much more. Basically, this thing will be more outrageous than most apartments. Standard systems and capacities include a dual 170-Ah battery-based electrical system, up to 420 watts of solar panels, a diesel generator or fuel cell, and a 500-L freshwater tank. Gas heating and hot water are standard, and air conditioning, floor heating systems and diesel hot water heaters are available optionally. And we don’t see why would anyone want to return home.